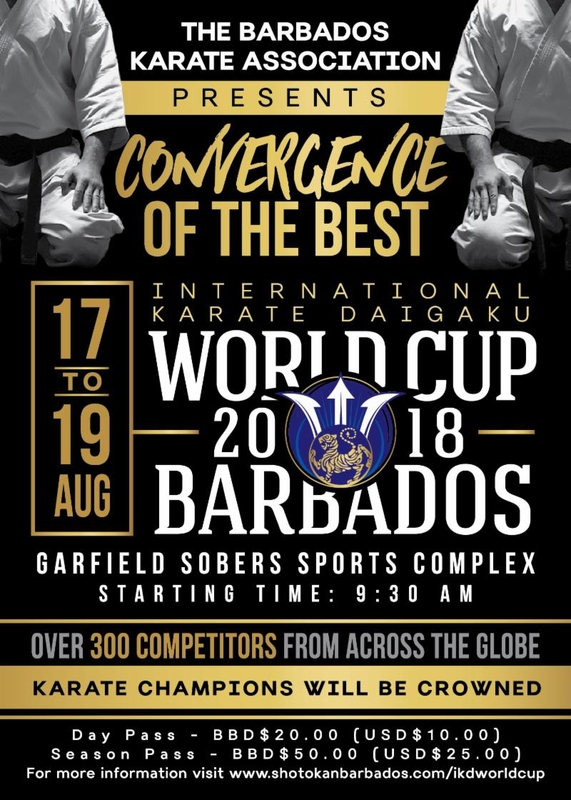 Barbados will play host to the 2018 International Karate Daigaku (IKD) World Cup which will take place from 17th to 19th August at the Garfield Sobers Sports Complex, St. Michael from 9:30am. This highly competitive Shotokan Karate tournament, should see over 300 competitors from across the globe including Canada, USA, South America, South Africa, Philippines and England. These individual and team events will encompass kata (forms), kumite (sparring), bunkai (practical applications) and enbu (demonstrations).